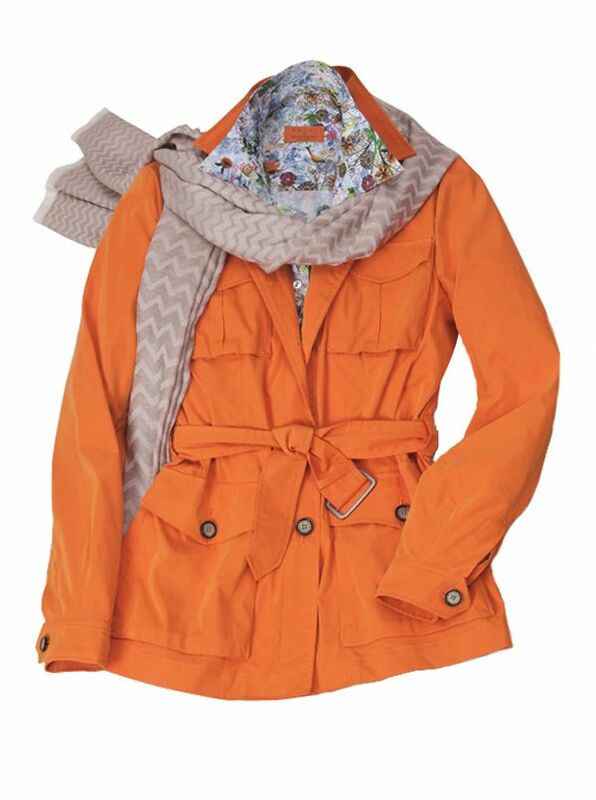 'Elisa' Jacket modeled on the classic safari is made in Italy of Belseta the world's finest microfiber. Soft like silk breathable like cotton wind and water resistant. With four pockets button front buttons cuffs self belt. Unlined.